This may seem like jumping the gun to talk about an April event in the March newsletter, but I need to get the date on everyone’s mind. 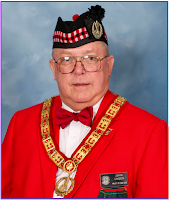 I (as well as probably most of the officers of the Bodies) received an e-mail from the president of the Santa Cruz Scottish Rite Club that the club would not be able to host their own Ceremony of Remembrance and Reflection because neither of the Masonic Centers in the Club’s area were available on April 20th. Therefore, the ceremony at the San Jose Scottish Rite Center on Thursday April 21st (Maundy Thursday) will be the only one. Bro. Richard Fisher, Past Wise Master, will be serving as Wise Master for the Ceremony, and I will be delivering the message. Neither the exact time nor the menu have been set for this event which includes a meal before the ceremony, but it will happen. I will be addressing the subject in a little more detail in the April Rite Word as the specifics are worked out.